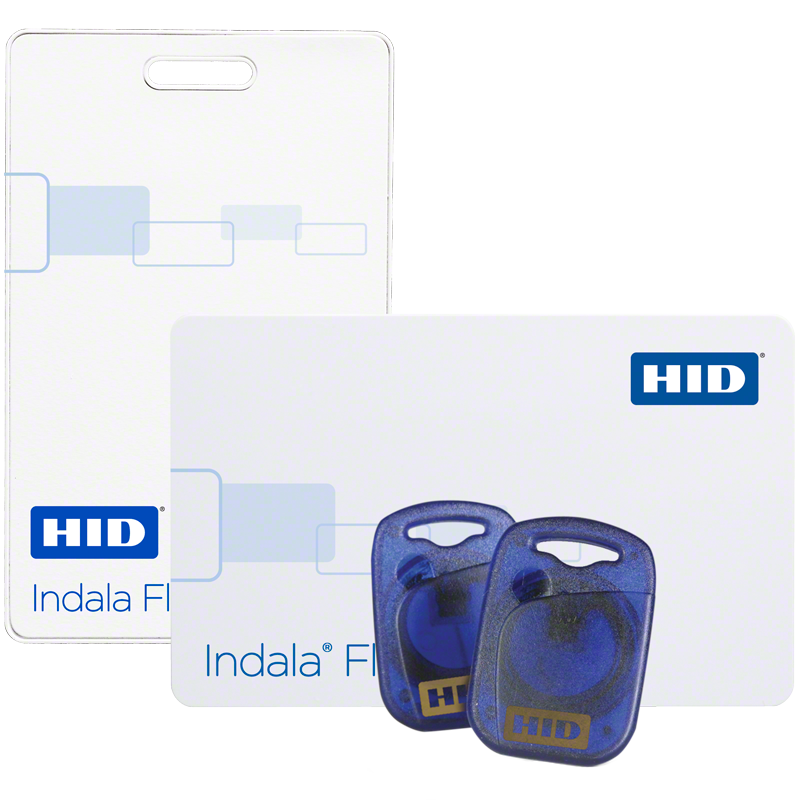 The CX Series of Indala Prox proximity card credentials is designed and manufactured for use with CASI ProxLite readers. 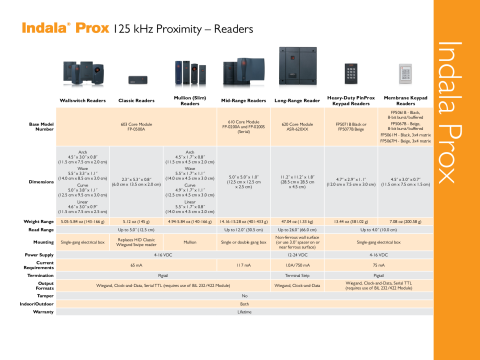 CX-PL5 .049" thick card equivalent to CASI ProxLite Card. CX-ISO XT Polyester composite card for applications requiring a heavy duty card. Photo imageable with optional mag stripe. ISO Thin, Photo Imageable proximity card with optional mag stripe. CK-KEY Keyfob: Ultrasonically sealed for durability, perfect for sites where a convenient pocket size token is needed. Easily attaches to key ring or lanyard. Indala Prox credentials programmed for use with CASI ProxLite readers. Same high quality credentials used in the standard Indala Prox line. Factory Programmed, 12 digit ID number. ISO thick proximity cards offered with optional mag stripe. Keyfob available for applications where Photo ID is not required. CXCRD Clamshell card: .065” (1.8mm) thick, white PVC label on Indala branded ABS base. CXPL5 CASI-style card: .049” (1.2mm) thick, white PVC card with CX Series artwork. CXISO Imageable card : .030” (0.76mm) thick, white PVC card, gloss finish for Photo ID printing. CXIXT Composite Imageable card : .030” (0.76mm) thick white 40% Polyester composite card. Glossy surface for photo ID printing and optional mag stripe. CXKEY Keyfob : 1.72” x 1.2” x .21” (4.38 x 3.0 x 0.55 cm) blue polycarbonate molding.